People have a right to witness, every now and again, great art in dance. They may not expect it or look for it, but it can happen. Dance Republic 2 (DR2) seeks to locate and share those experiences with audiences and participants. Children and young people have a right to take part in fantastic, unique dance experiences while they are at school- experiences which are fundamentally about the joy and excitement of moving, creating movement that reflects their own ideas, their own imaginative processes and the place that they live- a place that is more than a geographical location but a way of living and experiencing the world. In this way, dance as delivered by DR2 forms a catalytic part of the curriculum, a holistic approach to learning through moving that joins up ideas both within and outside the school environment. Our aspiration is to generate art moments for those with who take part in our activities, whether children, adults, participants or audiences- and those moments cannot be imposed or replicated, but can only be achieved by using every bit of our experience and intuition to create the unique conditions for those moments to occur. These moments could be very small, for a child taking part in dance in school, or anyone participating in a community project. 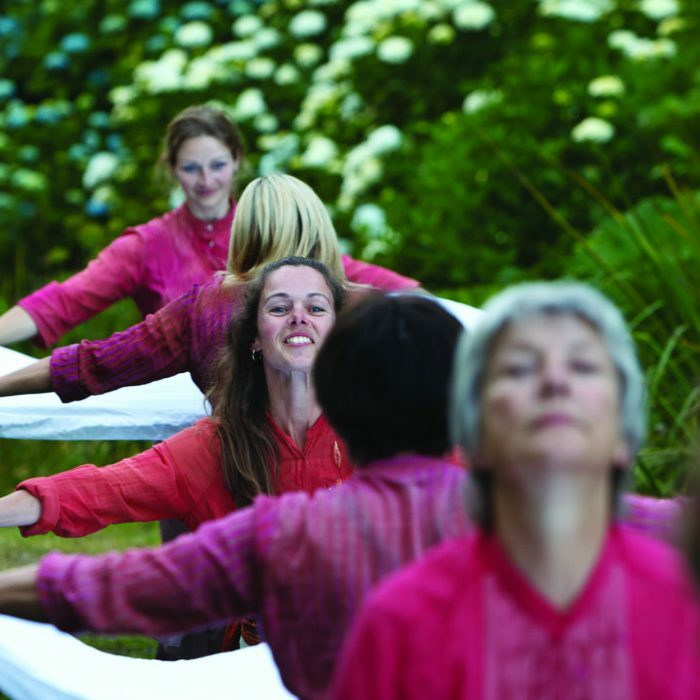 Dance Republic 2 will find examples of dance as art and bring it to Cornwall, finding the right context and location for the work. There is no point in promoting the ordinary. We believe in the extraordinary- it provides the drivers for our future lives and the benchmarks by which we compare or consider any future experience- we will, therefore, always try to create unique, authentic experiences that are never forgotten. We believe in something we call a positive dance ecology. This is best described as a culture in which high quality experiences are available and taking place around us in 360 degrees- in schools, in out-of-school groups, in studios, theatres, galleries and all kinds of alternative performance spaces, with dance artists and companies working with their natural collaborators through commissions and collaborations, in experimental situations where dance artists, performers and choreographers can explore their own ideas in creatively challenging situations. Our experience tells us that this positive ecology cannot be achieved when only one part or one aspect of the ecology is supported- and that no single part of that ecology is more important or significant than another. We recognise that investment in dance, (meaning peoples work and willingness to get involved as well as financial support) has to be carefully considered and balanced in order to create the conditions that deliver this elusive positive ecology. This means that as much effort and focus has to go into supporting dance in primary schools as ensuring that great dance can be seen in theatres. It means that promotional mechanisms need to be supported and thriving at every level- micro, small-scale, mid scale and large scale. It means supporting great, original and often risky ideas without any certainty about where they might lead, but in the knowledge that the power of the idea makes an element of creative risk worthwhile.